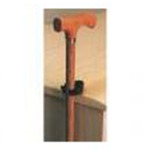 Product #15500 To assist in standing or transferring to and from a bed.Easily and safely secures between ceiling and floor.Fits ceilings from 93" to 100".Handgrip provides comfort and security.300 lb. Weight Capacity. 700Ml Emesis Basins: Graduated In Ounces And Cc'S And Ideal For Oral Hygiene And Ear Irrigation. (700 Ml/20-Oz. 10") Mauve, Each. 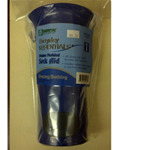 This Deluxe Sock Aid by Essential Medical features 48" straps with handle for easy sock application. Flexible molded shape is easier to use than other designs. No Monthly Fee! 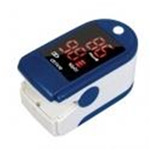 : This product is currently the featured video on our homepage! Extends your reach more than 12 inches! 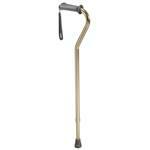 Makes cleaning easier for individuals with physical limitations. An attractive card holder for people with limited hand function, weakness, pain or poor coordination. The two clear plastic tiers hold up to 18 cards. hardwood base has non-skid rubber pads. Best Seller! : One pack contains 8 washcloths. 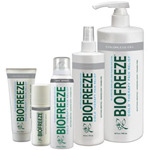 Total Body Cleansing System, cleans, moisturizes, conditions and soothes the skin. Rinse-free, hypoallergenic and PH Balanced Formula. 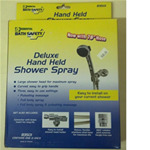 Helps kill germs and eliminates odors. 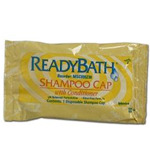 ReadyBath Shampoo cap with Conditioner. Contains 1 disposable Shampoo Cap. No Rinse formula.Cap may be heated in microwave prior to use. 26.5" REACHER : CALL FOR OPTIONAL SIZES. 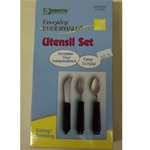 Easy to hold Utensil Set. Set includes: Rocker knife for easy cutting, Bendable spoon & fork (up to 90 degrees). All utensils feature soft cushion grips that are comfortable and easy to hold and are all made of stainless steel.